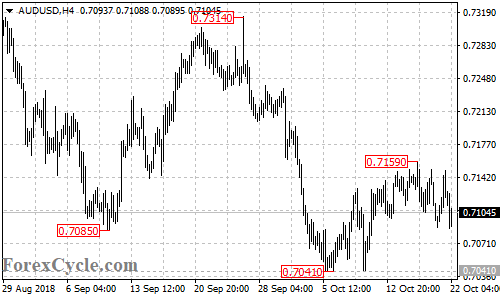 AUDUSD is now in downtrend from 0.7159. Further decline would likely be seen in the coming days and next target would be at 0.7041 previous low. Resistance is at 0.7159, only a breakout of this level could trigger another upside movement towards 0.7200.